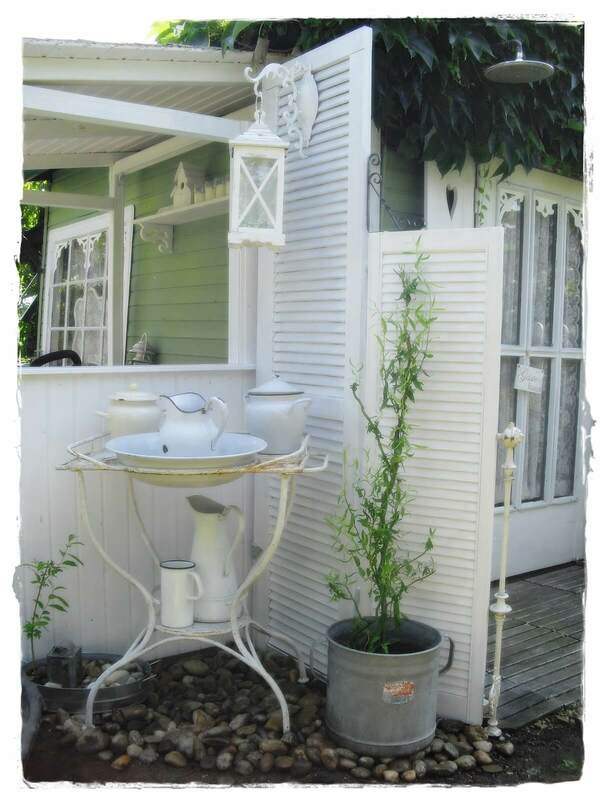 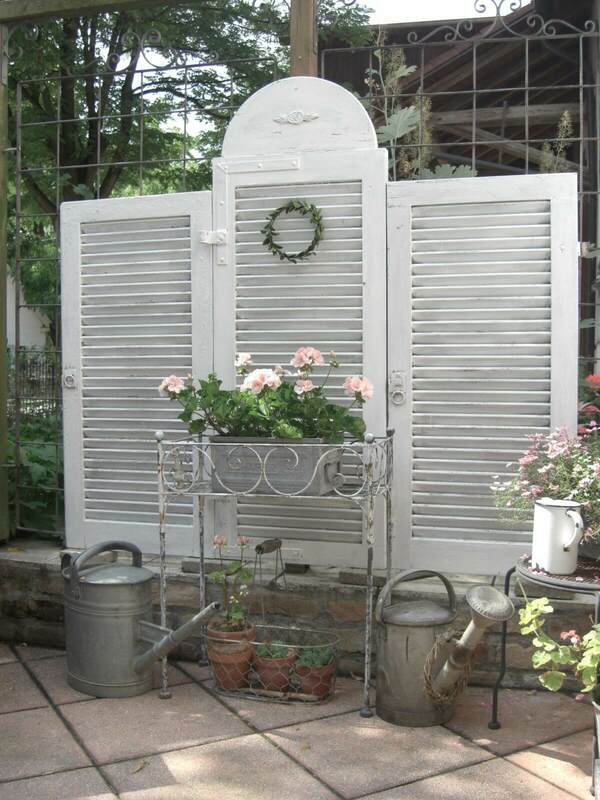 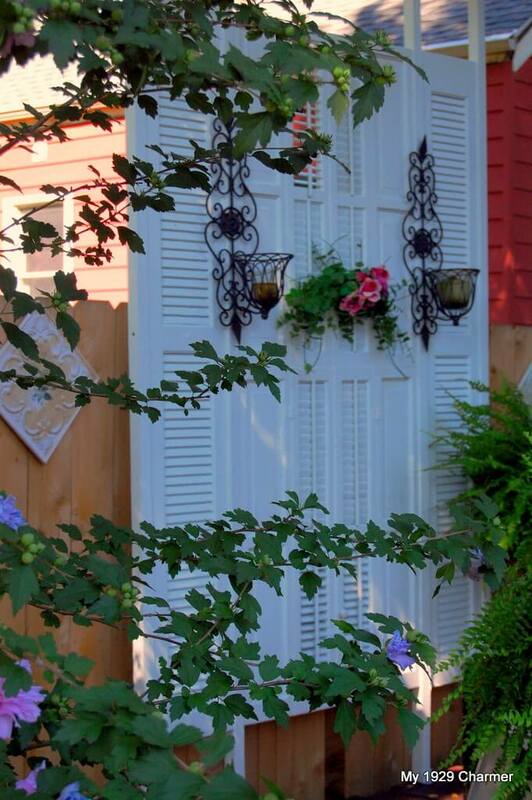 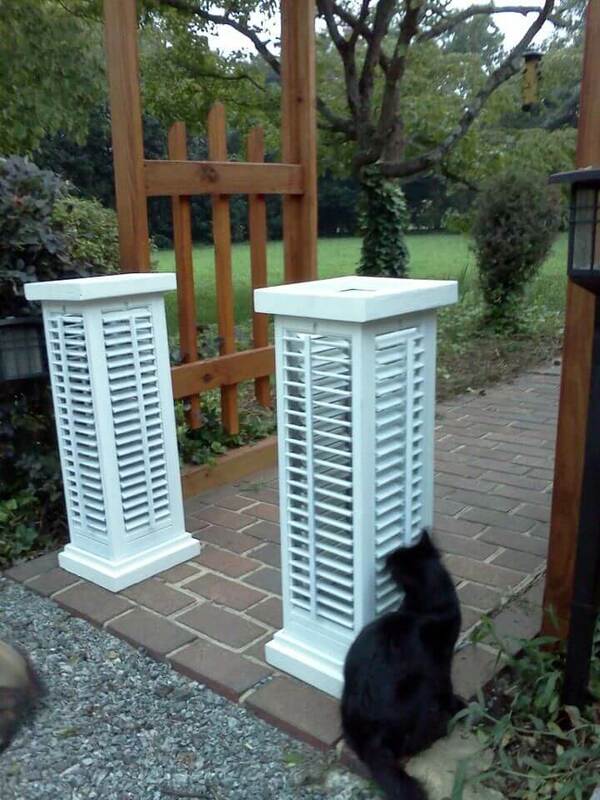 Old shutters are a popular trend in garden and patio design. 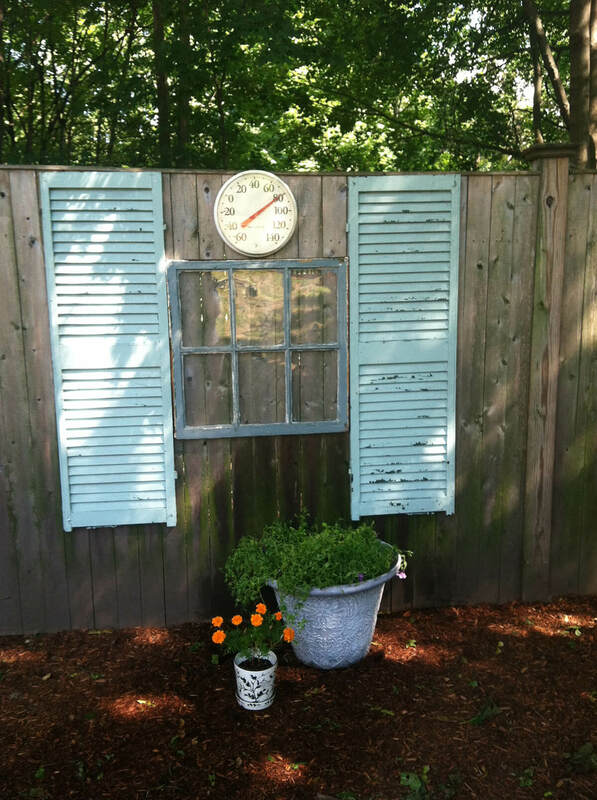 Shutters are easy to find, and they have incredible versatility as a design element. 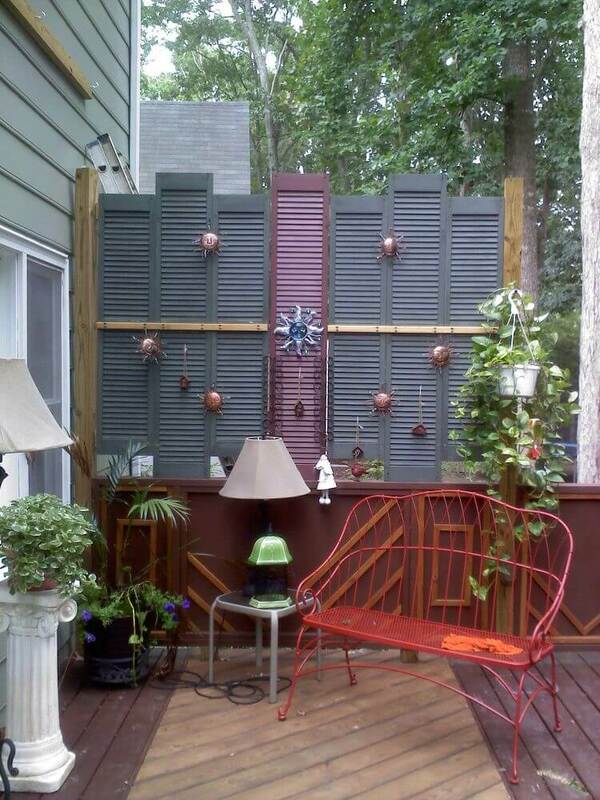 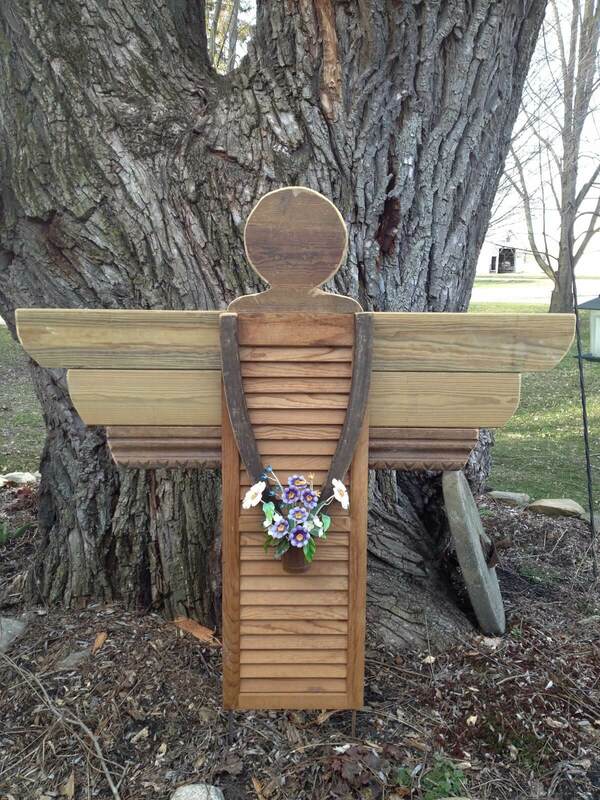 You can use reclaimed shutters from a home renovation project, or you can buy new ones at the home improvement store. 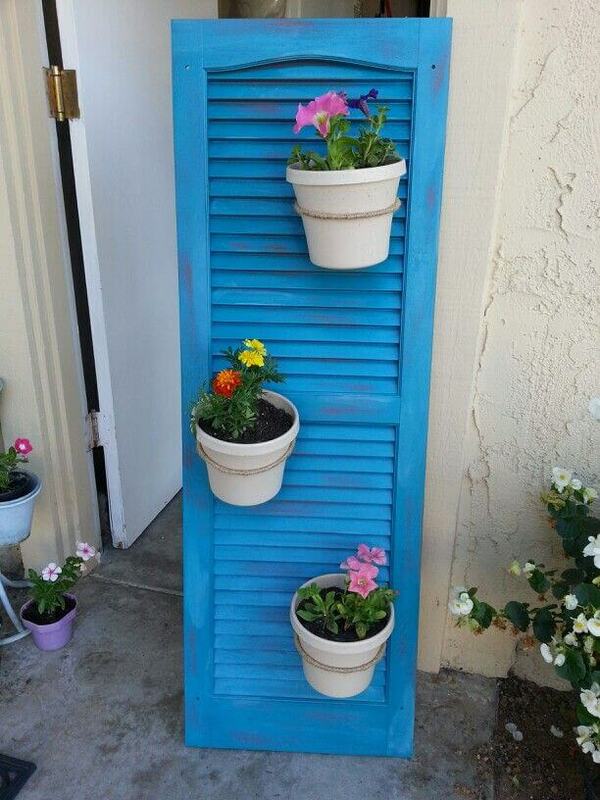 Shutters make excellent wall hangings. 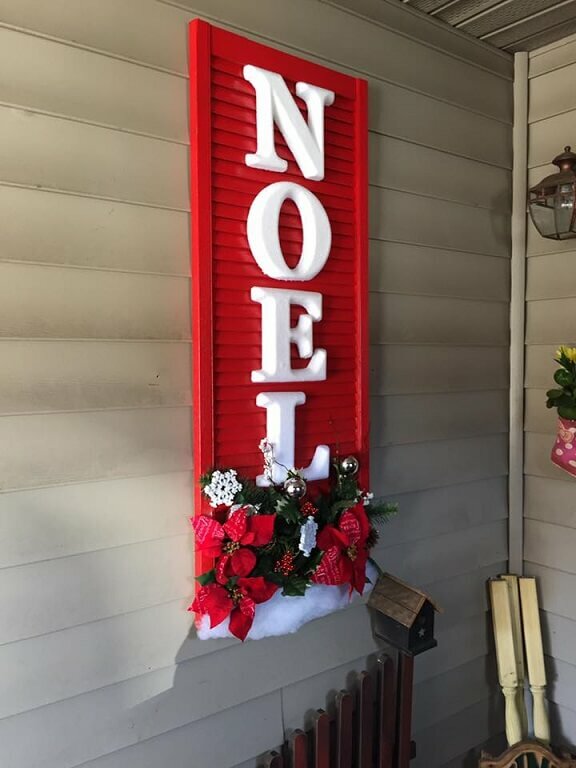 They can be accented with initial letters for a customized look, or painted in festive ways to reflect any holiday that you wish. 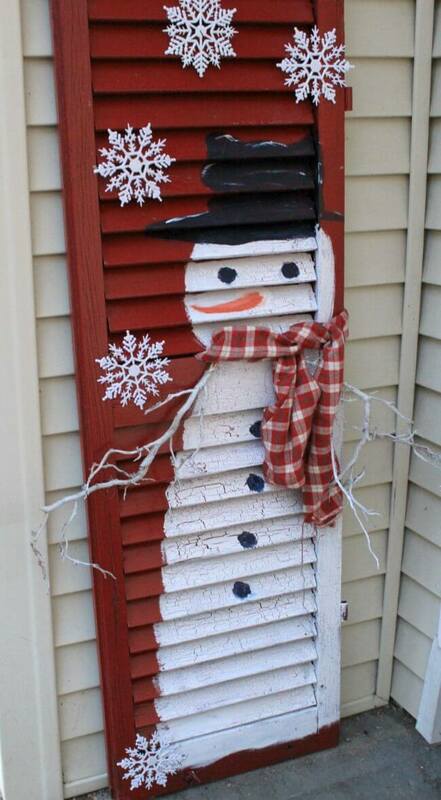 Christmas and Fourth of July shutters are especially popular. 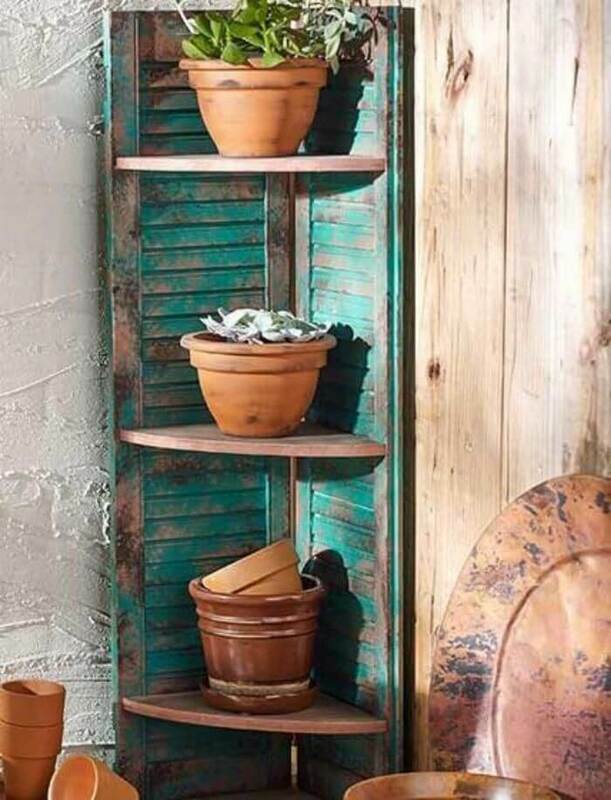 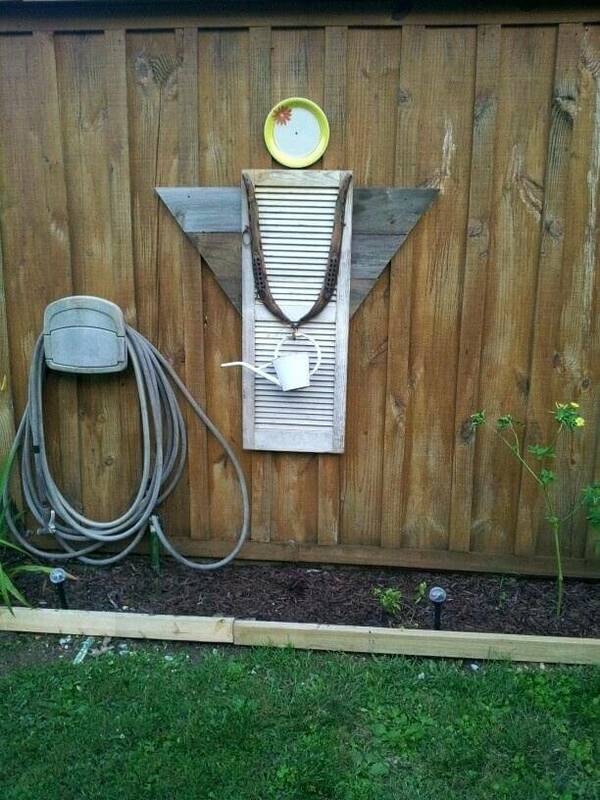 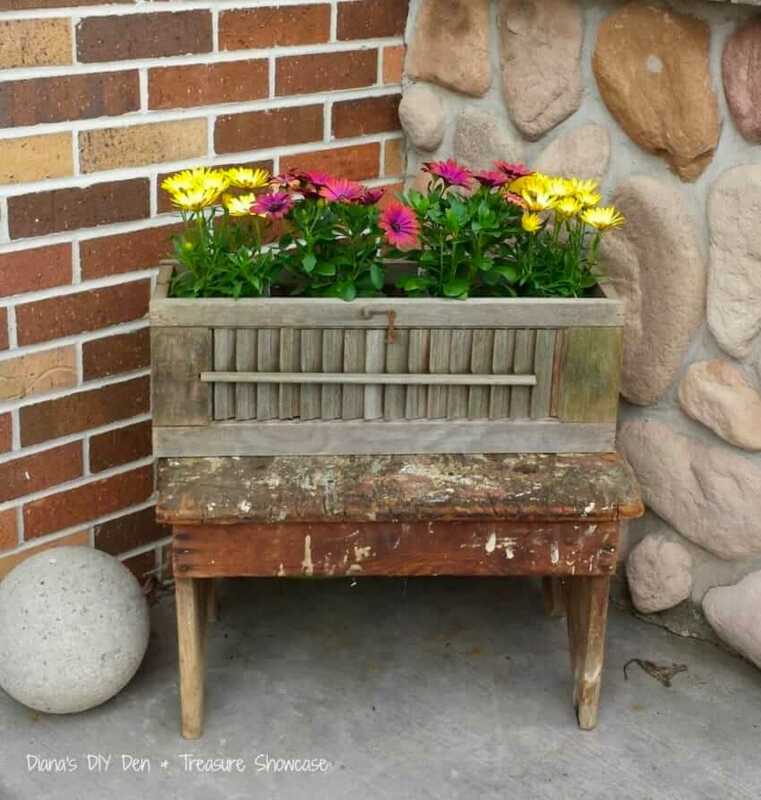 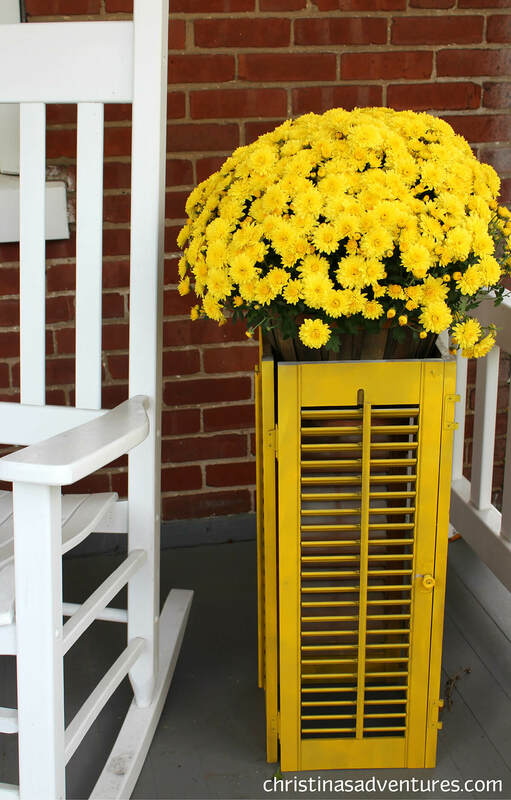 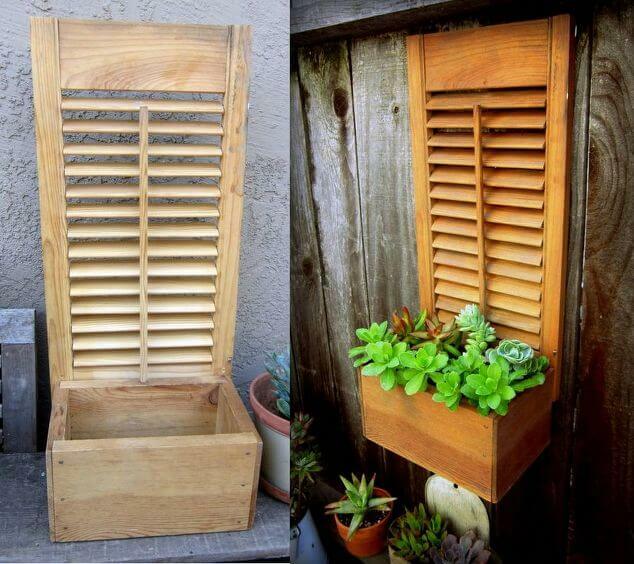 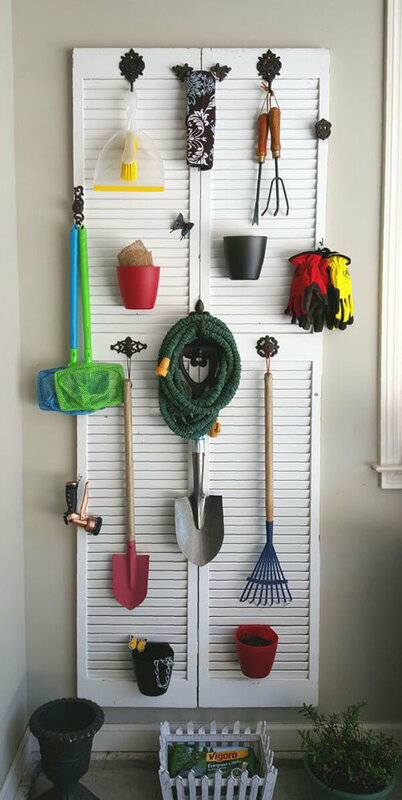 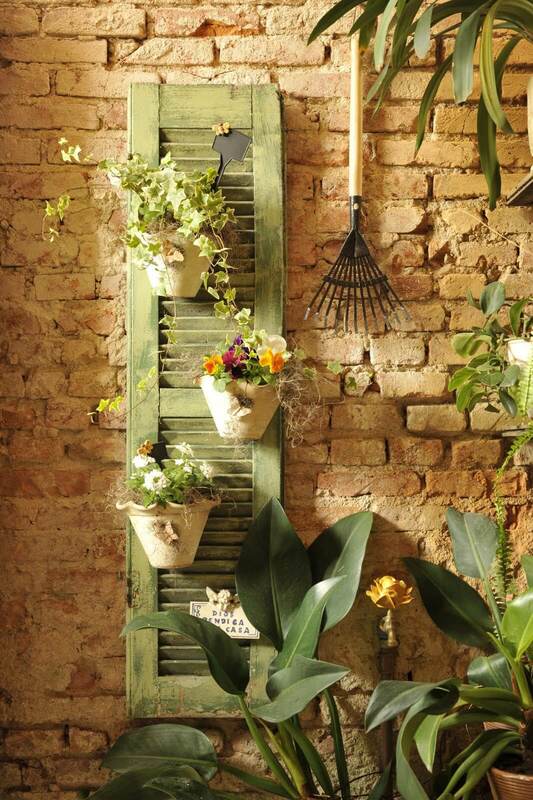 Wall shutters can also hold flower pots or succulents for a fresh, blooming accent to your patio. 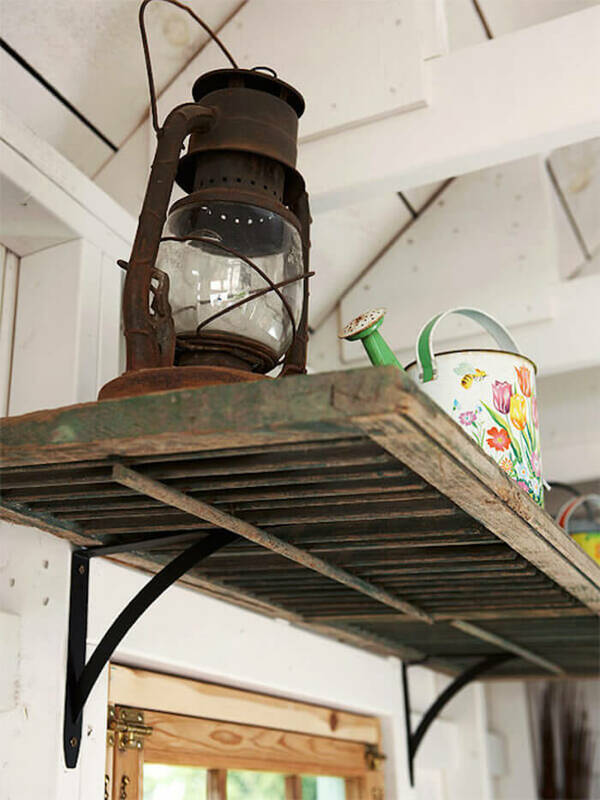 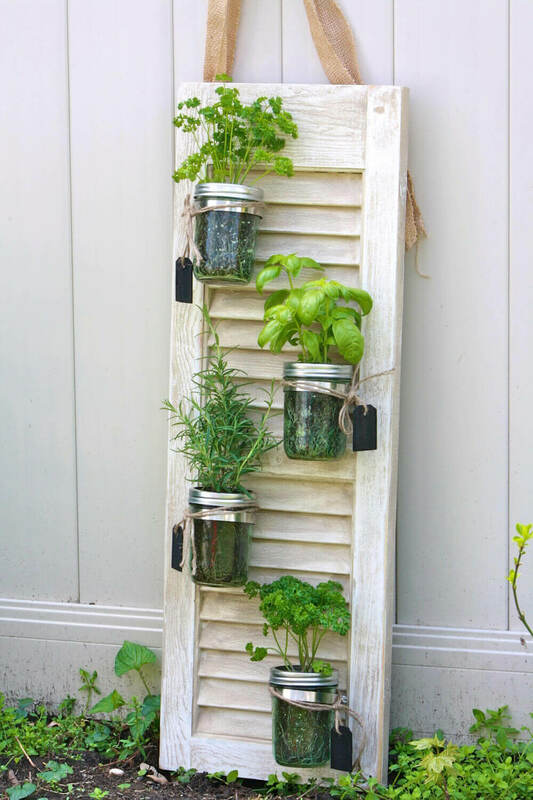 It’s easy to add metal hangers to slip in flower pots or Mason jars. 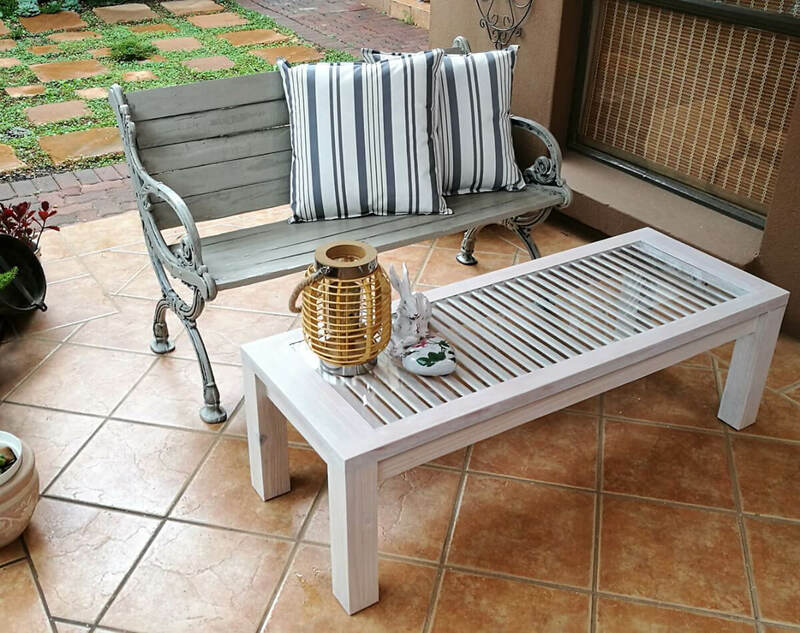 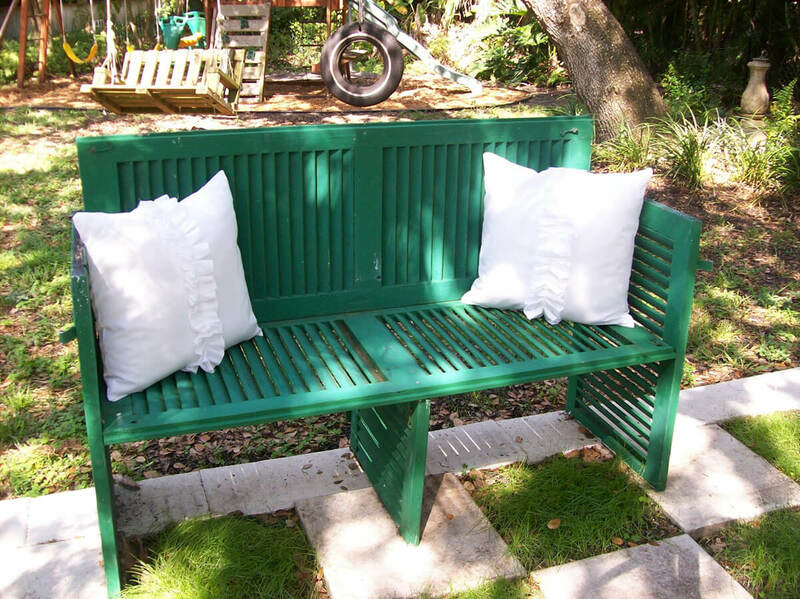 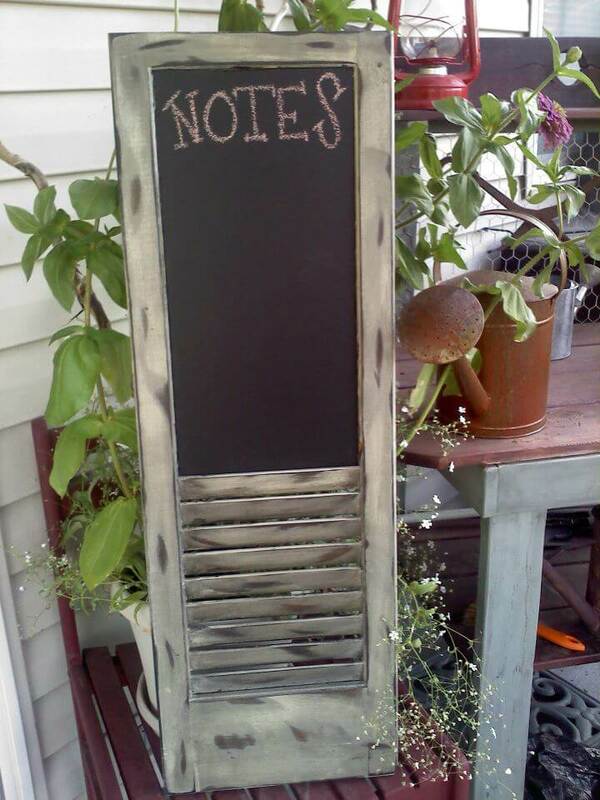 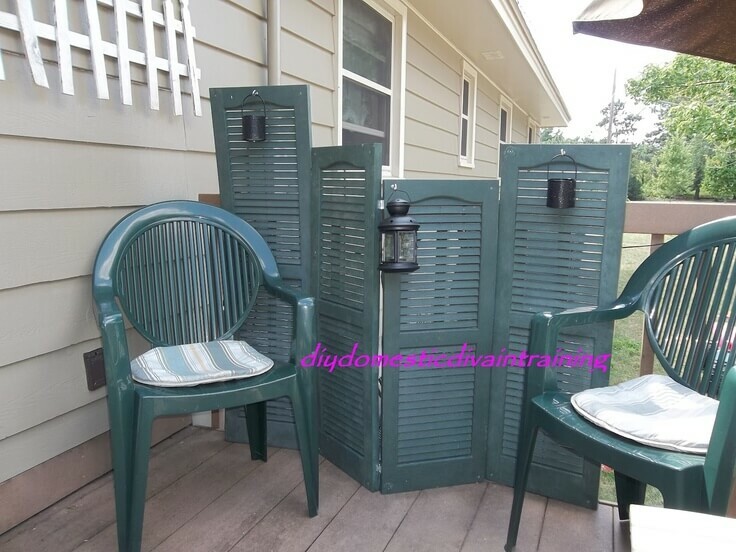 Old shutters can also be used to construct various kinds of furniture. 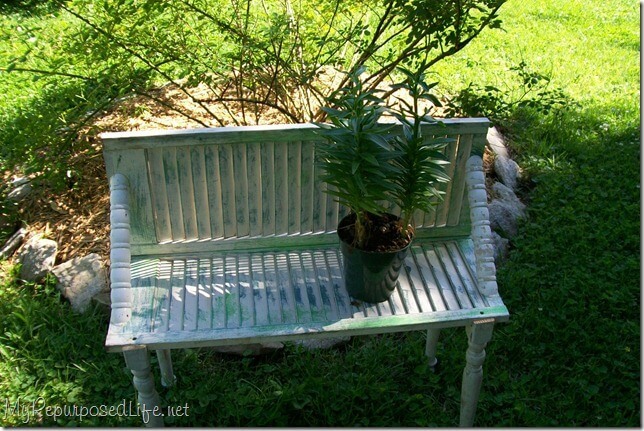 You can create anything from a park bench to a glass topped table. 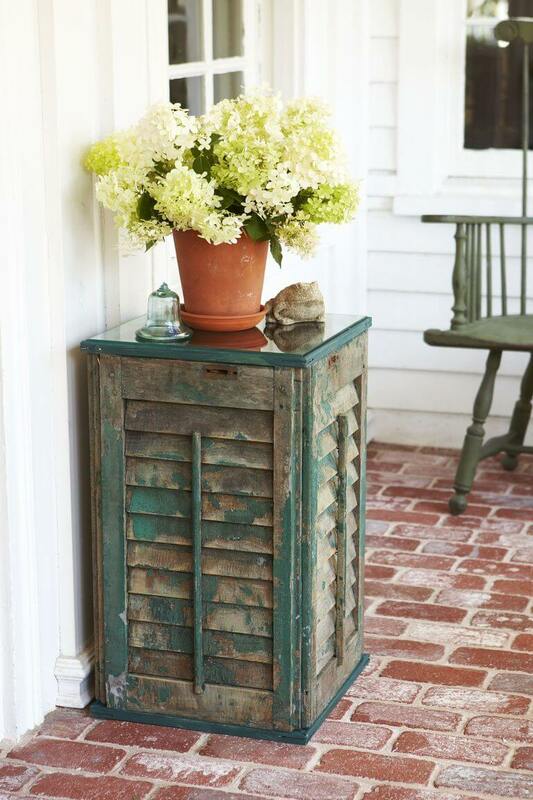 One inventive way of using shutters is to make a side table that is lit from the inside. 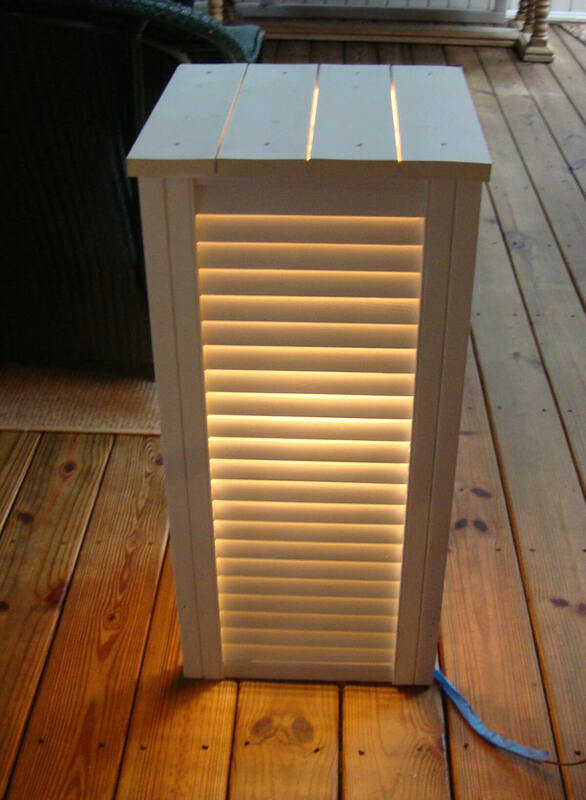 This provides extra table space and glowing light for your outdoor areas. 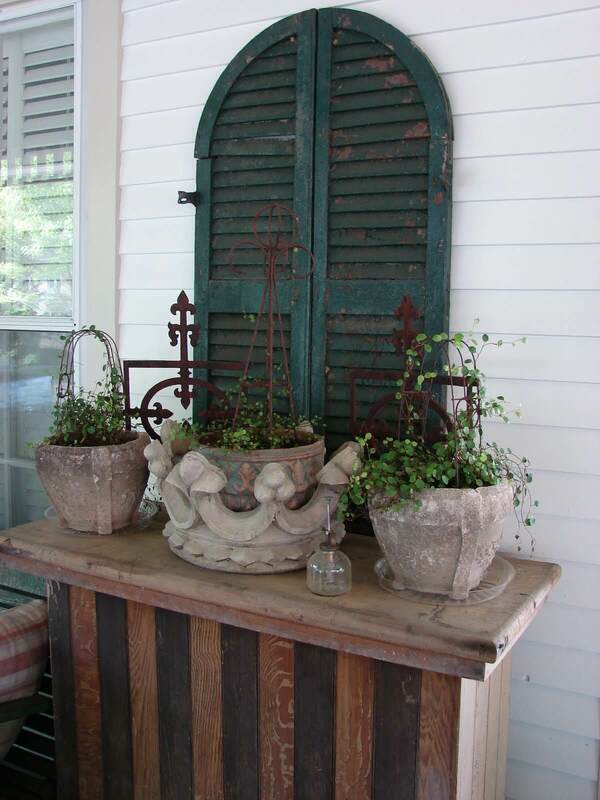 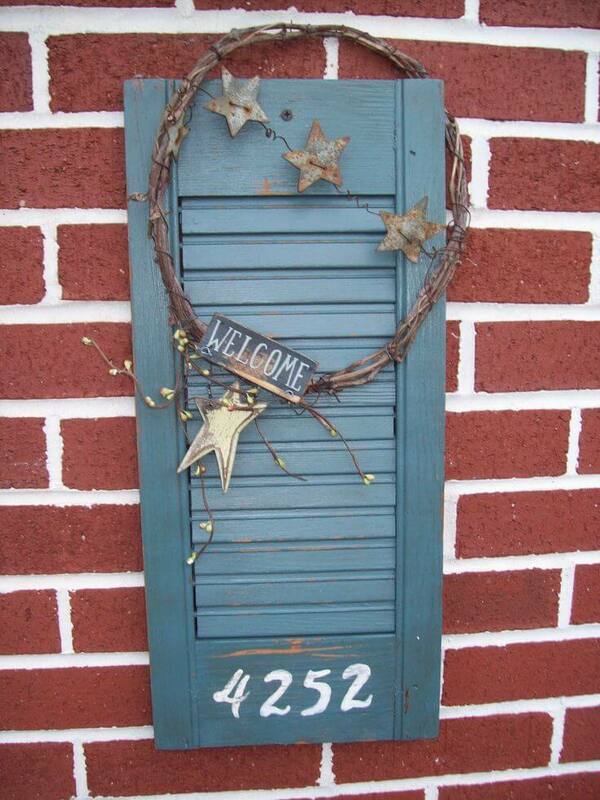 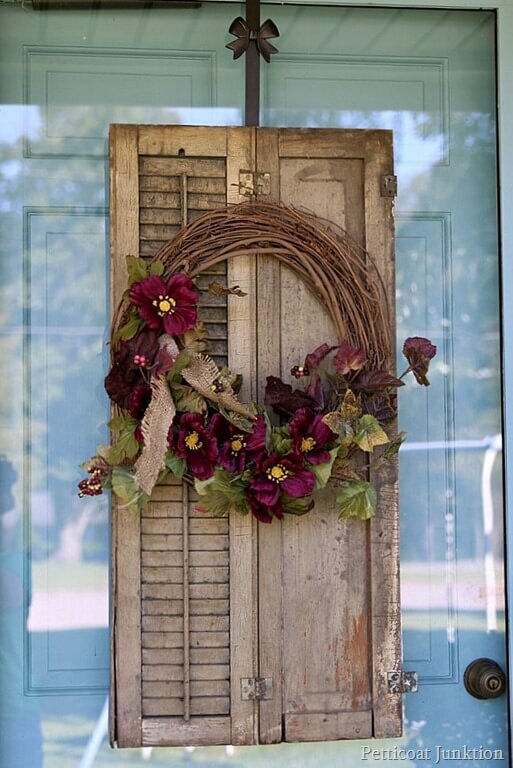 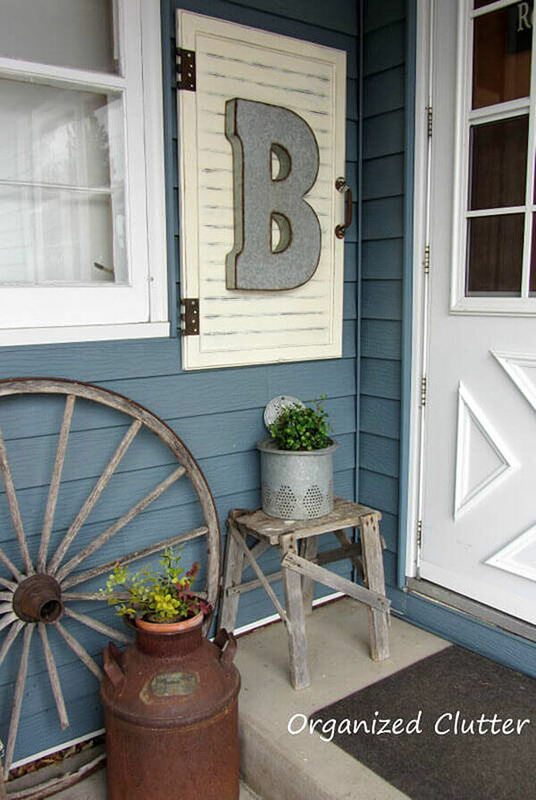 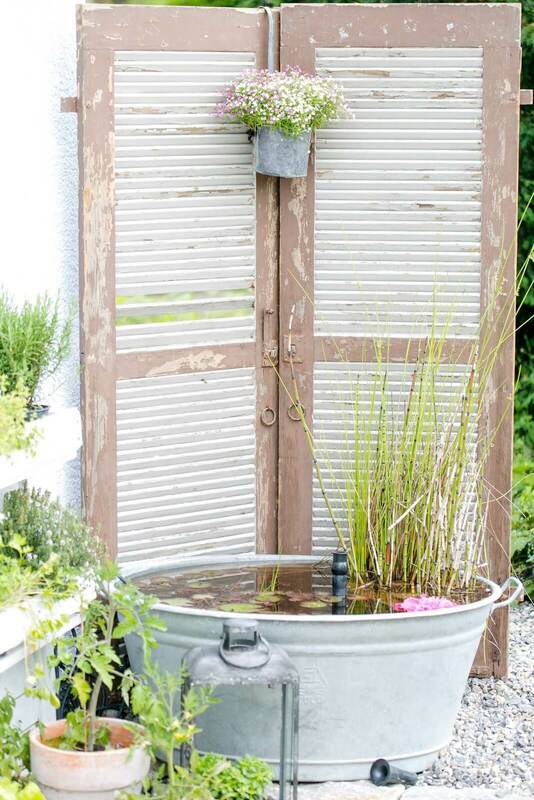 Try these 38 amazing old shutter outdoor decor ideas and bring a sense of rustic charm to your garden and patio. 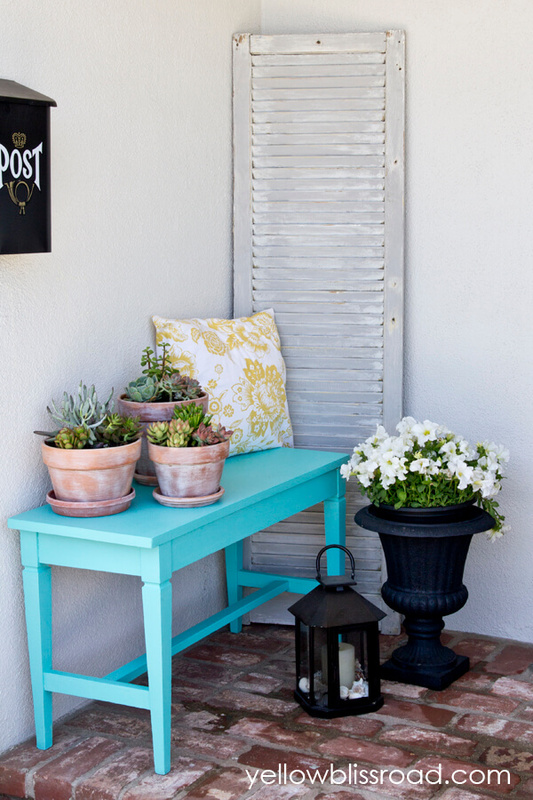 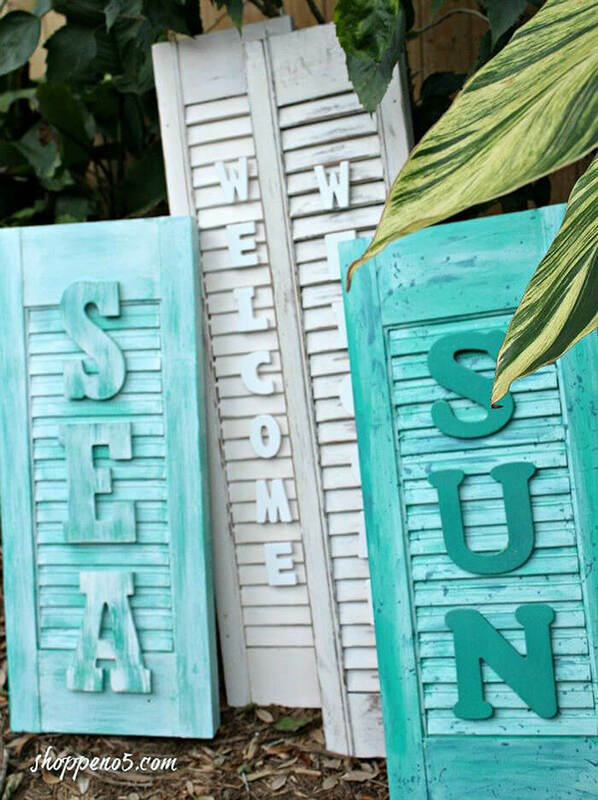 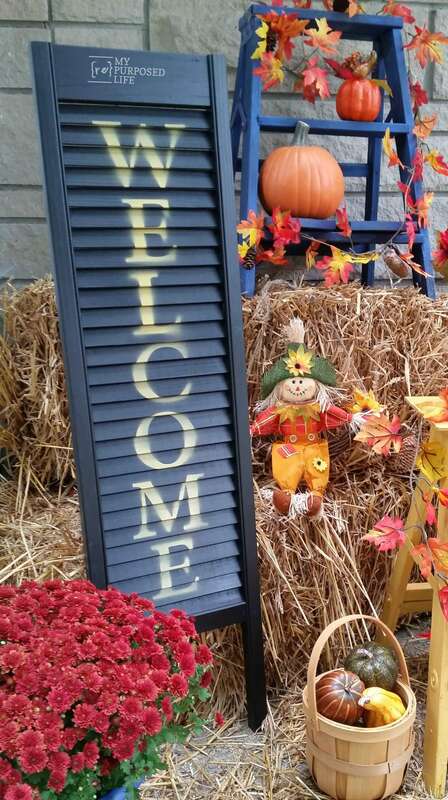 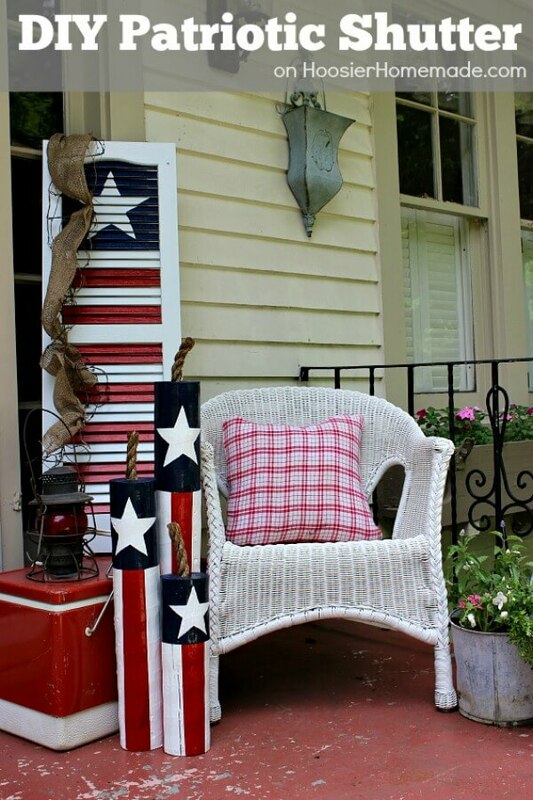 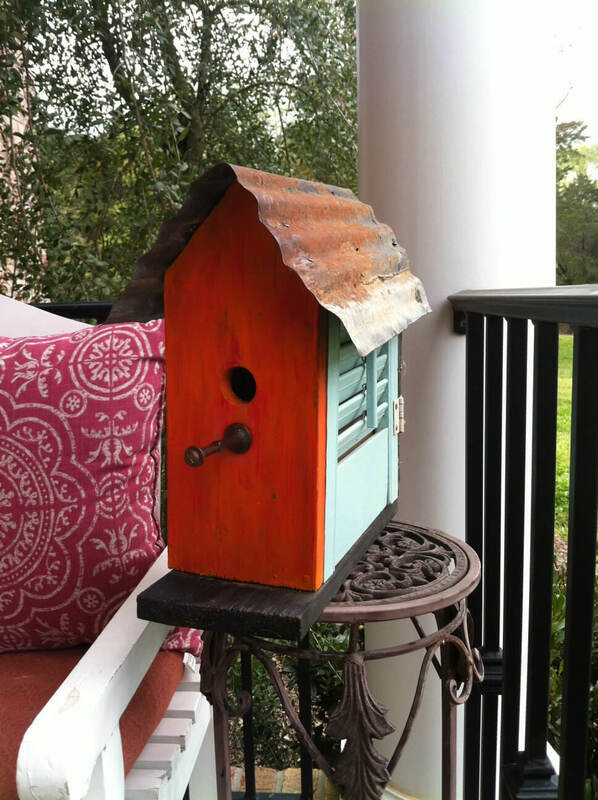 Any of these ideas would make a fun accent to your outdoor space.